Sen. Elizabeth Warren (D-Mass.) responded to President Donald Trump's relentless ridicule on Monday by releasing the results of a DNA test that she says proves she has Native American ancestry. But now she is coming under criticism from the Cherokee Nation, which says DNA tests are not appropriate to determine tribal citizenship. 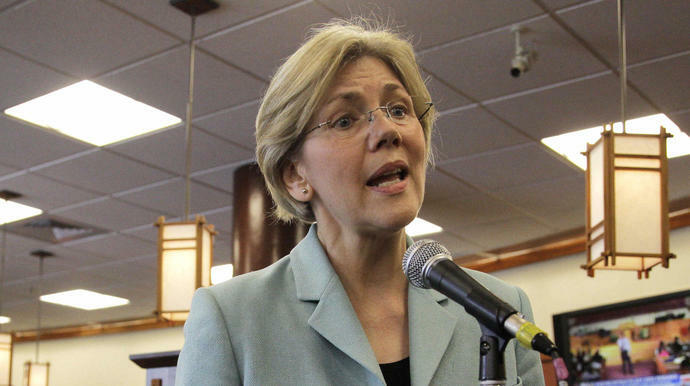 Warren's critics first raised doubts about her claim of Native American ancestry during her 2012 Senate campaign. Trump has kept the controversy alive by repeatedly calling the senator "Pocahontas" in his appearances across the country. "The vast majority" of Warren's ancestry is European, but "the results strongly support the existence of an unadmixed Native American ancestor" six to 10 generations ago, Bustamante said. Chuck Hoskin Jr., secretary of state of the Cherokee Nation, said Warren was "undermining tribal interests with her continued claims of tribal heritage." "A DNA test is useless to determine tribal citizenship," Hoskin said. "Current DNA tests do not even distinguish whether a person's ancestors were indigenous to North or South America. Sovereign tribal nations set their own legal requirements for citizenship, and while DNA tests can be used to determine lineage, such as paternity to an individual, it is not evidence for tribal affiliation. Using a DNA test to lay claim to any connection to the Cherokee Nation or any tribal nation, even vaguely, is inappropriate and wrong." He added, "It makes a mockery out of DNA tests and its legitimate uses while also dishonoring legitimate tribal governments and their citizens, whose ancestors are well documented and whose heritage is proven." Warren responded by tweeting that she respects the distinction between DNA and tribal affiliation or citizenship and that she doesn't list herself as a Native American in the Senate. Warren also emphasized that the Boston Globe had reviewed her work history and concluded that she has been treated as a white woman "at every step of her remarkable rise in the legal profession." Hoskin elaborated on his statement in an interview on CNN on Monday night, saying, "We need to be clear about what it means to be a Native American Indian in this country, and it really comes down to a legal status that we frankly have fought long and hard for and we're very proud of." He said that he recognized that Warren was responding to Trump's taunts and that he did not find Trump's use of the name "Pocahontas" helpful. "We have a lot of issues," Hoskin said. "We would rather the president of the United States and Senator Warren focus in on things that affect us ― housing and health care, clean water, clean air. There's a lot of issues that we could use their leadership on."